Hartford is the capital city of the state of Connecticut in the United States. Dubbed the “Insurance Capital of the World”, the city is home to a major insurance industry and is a hub for research and education. Founded in 1635, it’s deep-rooted history lies in landmarks like the historic Wadsworth Art Museum and Bushnell Park. 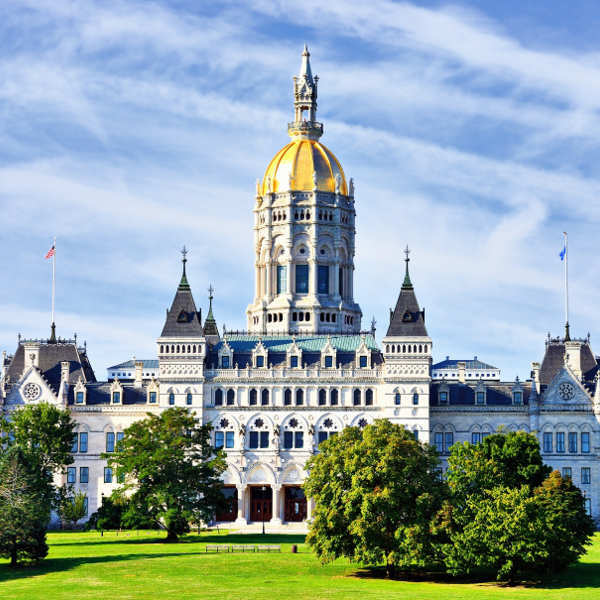 Delve into the history and heritage of this all-American city with cheap flights to Hartford! The city is served by Bradley International Airport (BDL) a 20-minute drive from the city centre. Immerse yourself in the Hartford arts scene and take in a theatre production at Bushnell or the highly-acclaimed Hartford Stage. The local art exhibits sprinkled around the city’s galleries are not to be missed! Steeped in history, this city offers architectural tours of the State House, State Capitol and Colt Factory. On the outskirts of town, Wethersfield is the oldest and largest historic district in Connecticut. Open-air concerts and dragon boat races take place against a picturesque backdrop of the Riverfront Plaza, while the plush gardens of Bushnell Park are a welcoming distraction from the city’s alluring features. The most ideal time to visit this quaint city is during spring (May-June) and autumn (September-October) when the city’s foliage is in full effect with blossoming rose gardens and golden leaves. The busiest seasons are autumn and summer, when the city buzzes with festivals and outdoor events. Some exciting festivals to see include Pipes in the Valley (September), Riverfest (July) and the Hartford International Jazz Festival (October). The winter months (November-March) bring snowfall, fewer crowds and great accommodation deals. With an abundance of historical attractions, a thriving arts scene, and beautiful parks and gardens, Hartford has a mystical charm to it that welcomes visitors all year round. It was here that inspired the characters of Huckleberry Finn and Tom Sawyer in the imagination of Mark Twain. 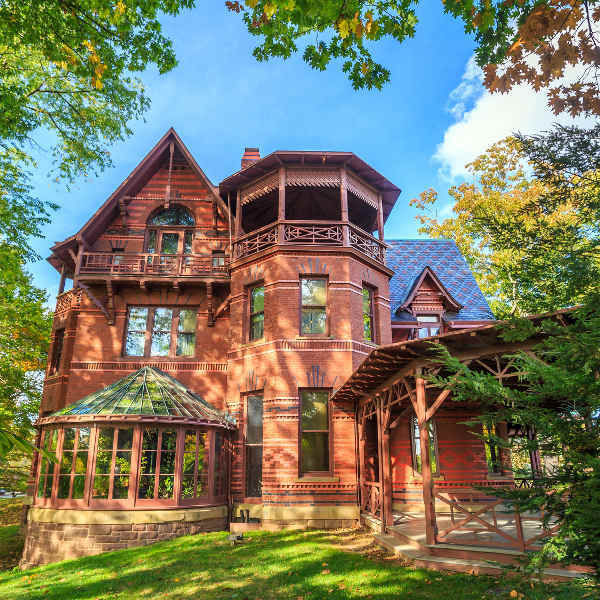 Twain's Victorian Gothic home and those of fellow literary figures, Harriet Beecher Stowe and Noah Webster, are open to the public. The Wadsworth Atheneum is the oldest public art museum in the US and it’s Gothic-style architecture and prized, antique collections are truly impressive. Peruse the exhibits of the national landmark, the Old State House; while the State Capitol offers tours of its lavish interior. 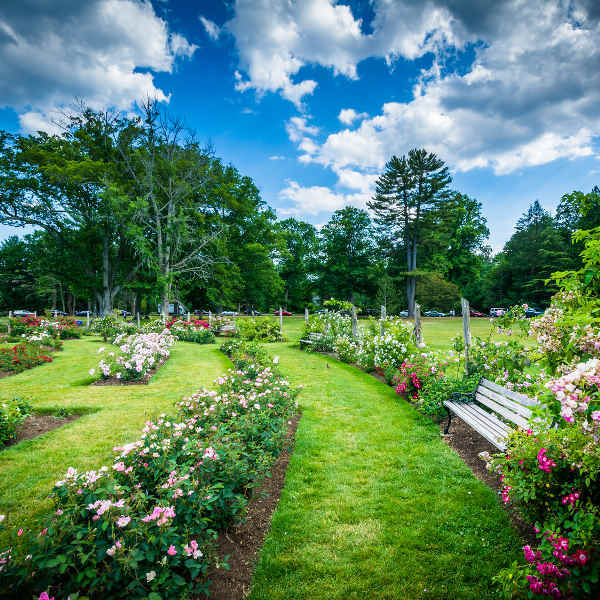 Take a break from the riveting cultural attractions and meander through Elizabeth Park Rose Gardens. Containing over 800 varieties of roses, in winter the park transforms into a skating wonderland. For an aerial view of the city, visit the observation deck of Travelers Tower. See a show at Hartford Stage, an acclaimed theatre in the city’s arts scene. Downtown Hartford serves up some of the best restaurants, with trendy bars stirring till late into the night. Compare several airlines, and book your cheap flights to Hartford online at Travelstart! Despite its somewhat perilous reputation, Hartford is a reasonably safe city. Most of the attractions and entertainment are located in Downtown, Central and the West End; these areas are fairly safe and visitors should feel very welcome to walk around and explore the sights. The majority of crime occurs in the northern end of Hartford, which doesn’t really feature any tourist attractions. As in any city, practise vigilance and be aware of your surroundings. Avoid walking in unsafe areas, especially at night, and keep vehicles locked at all times. Travel insurance to cover theft and medical expenses is recommended.